Great News! 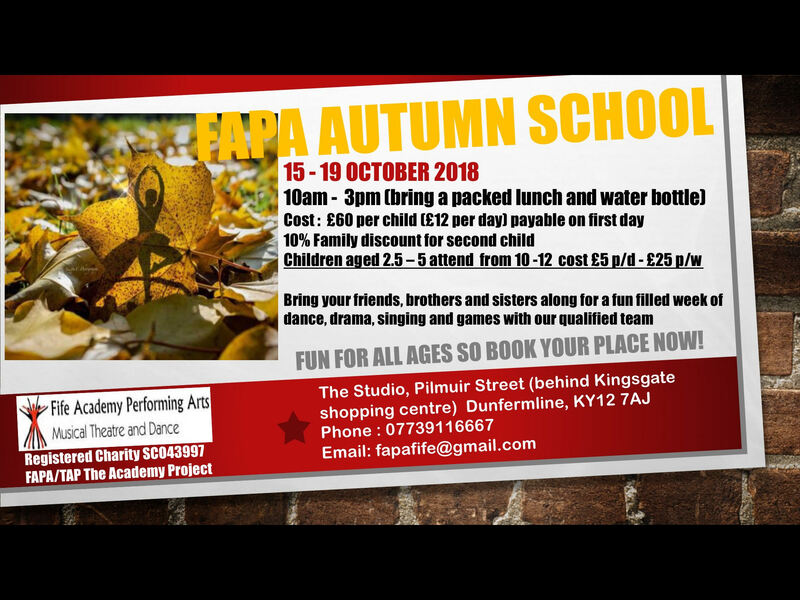 After the success of the Summer School, Fife Academy of Performing Arts are happy to announce that we running our Autumn School during the second week of the school holidays. Email fapafife@gmail.com or call 07739 116 667 to book your place now!